A tale of love, secrets, and adventure across the oceanWhen textile merchant Edward Gardiner rescues an injured youth, he has no notion that this simple act of kindness will change his life. The boy is bright and has a gift for numbers that soon maken makes him a valued assistant and part of the Gardiners' business, but he also has secrets and a set of unusual acquaintances. When he introduces Edward to his sparkling and unconventional friend Miss Grant, Edward finds himself falling in love. But who is this enigmatic woman who so quickly finds her way to Edward's heart? Do the deep secrets she refuses to reveal have anything to do with the appearance of a sinister stranger, or with the rumours of a missing heir to a northern estate? As danger mounts, Edward must find the answers in order to save the woman who has bewitched him . . . but the answers themselves may destroy all his hopes. Set against the background of Jane Austen's London, this Pride and Prejudice prequel casts us into the world of Elizabeth Bennet's beloved Aunt and Uncle Gardiner. Their unlikely tale takes the reader from the woods of Derbyshire, to the ballrooms of London, to the shores of Nova Scotia. With so much at stake, can they find their Happily Ever After? 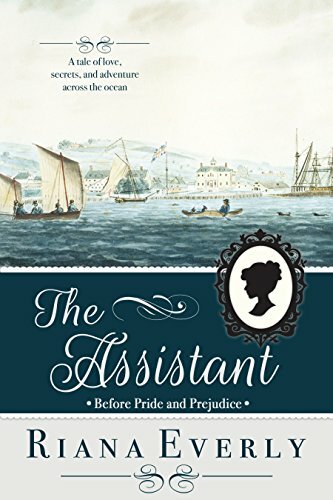 The Assistant is a full-length JAFF novel of about 90 000 words. A prequel to Jane Austen's Pride and Prejudice, Vanity and Verity explores the London debuts of Lady Anne and Lady Catherine Fitzwilliam. Upon arrival in London, Lady Catherine is immediately taken with the striking Mr. George Darcy (father of Austen's iconic Mr. Fitzwilliam Darcy). But the circumspect Lady Anne questions the character and connections of the yet unknown Mr. Darcy. Anxious to please her proud and domineering mother and concerned about protecting the imprudent Catherine from herself, Anne hopes to forge the right friendships and alliances to steer the sisters safely through a season in 1780s London. However, the cautious Anne is in danger of giving Mr. Darcy entirely the wrong idea of her character, even as Anne herself begins to reevaluate her first impressions of the gentleman. Meanwhile Catherine, intoxicated by the London scene, pursues flirtations with Mr. Darcy, his friend Mr. Tyndall, her cousin, and even the tedious Sir Lewis DeBourgh while Anne struggles to remind her sister – and herself – of the importance of empathy and consideration for others. 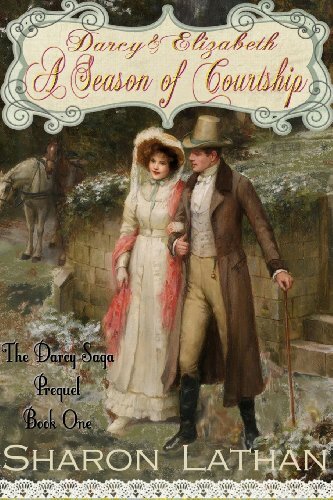 When the sisters and their circle retire to the Derbyshire countryside and are introduced to a new set of company (including the roguish Lord Barham, Mr. Darcy’s steward Mr. Wickham and his conniving wife) Catherine’s interest is drawn by yet another gentleman and her behavior threatens to grow more ungovernable yet. When one of Catherine’s flirts becomes the determined suitor of Anne, Anne finds herself in danger of losing all influence over her younger sister. Can Anne maintain a sisterly relationship with Catherine, while discouraging unwanted suitors and encouraging the one man she does want, but whose interest in her is unclear? Will the erratic Catherine ever fix on just one gentleman to pursue and will she choose a relationship that feeds her character and not just her vanity? 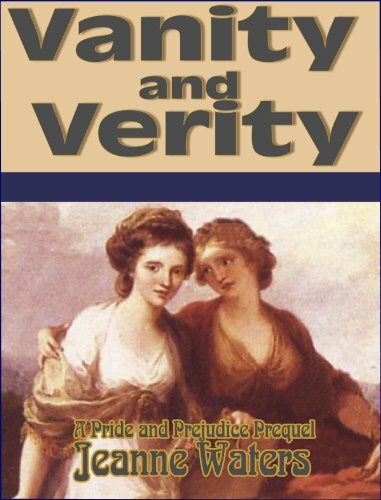 Vanity and Verity probes the relationships of the parents of Fitzwilliam Darcy, Anne DeBourgh, and George Wickham, explains a great deal about Austen’s characters’ personalities and preconceptions, and will provide the reader of Pride and Prejudice with a whole new perspective on Austen’s beloved work. Fitzwilliam Darcy long ago gave up any hope of finding true love. Ladies look at him and see Pemberley, his estate. If it were not necessary to get an heir, he would as soon remain a bachelor. Then a friend hits on a fine solution: bring Darcy's sistDarcy's sister, Georgiana, to London and introduce her to society. She will easily attract a husband and provide an heir to Pemberley in no time. After all, is that not a gentlewoman's duty? But when rakes and fortune hunters come out of the woodwork to prey upon his naïve sister, Darcy has to rethink his strategy. Colonel Fitzwilliam suggests they send Georgiana to spend the rest of the summer at an out-of-the-way resort near the sea. REVISED, PROFESSIONALLY EDITED VERSION!Dark curls and an unforgettably sweet laugh were all he knew of his sister's rescuer. Later, a second glimpse showed her to be lovely, and he heard her melodious laugh again. Darcy wondered what it would be li would be like to meet this remarkable, and remarkably lovely, young woman. Would the spirit that caused her to go to the aid of a stranger be able to bring some joy to his lonely life? Would they ever meet, or would he always be left wondering? 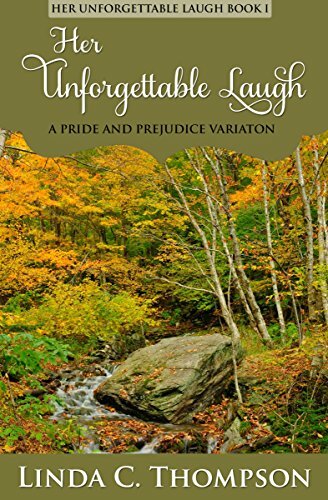 Little did Fitzwilliam Darcy know that his trip to Hertfordshire to help his friend would bring him face to face with the lovely young woman whose unforgettable laugh had haunted his dreams for the last several years. Would she be anything like the woman he had built up in his dreams? Would he be able to avoid Miss Bingley long enough to discover more about this mysterious young woman? Every great love has a beginning. In Austen's Pride and Prejudice, we meet with perhaps the most sensible, caring relatives a lovelorn young woman could hope for: Mr and Mrs Gardiner. 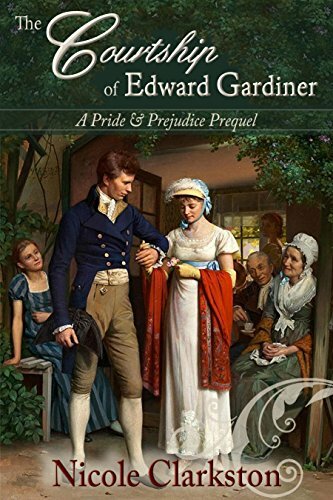 What is their story?Edward Gardiner has just been refused by the lsed by the lovely young woman he had intended to make his wife. Heartbroken and eager for a diversion, he accepts an invitation from his brother-in-law, Thomas Bennet, to accompany him along with his two eldest daughters to the north on family business. Gardiner's pleasure tour is interrupted, however, when his eldest niece falls ill and is unable to travel farther. Accepting a marriage proposal is merely the beginning . 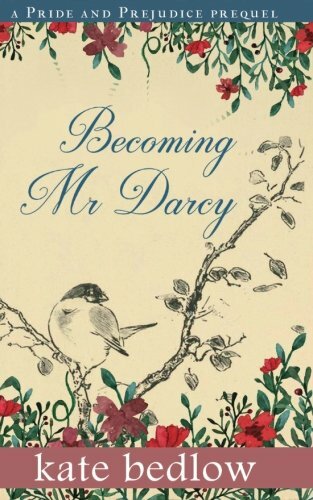 . . How did Lady Catherine restore Mr. Darcy's hope to prompt his second proposal? Did Caroline Bingley yield gracefully? Were the Bennets and Meryton citizens approving? 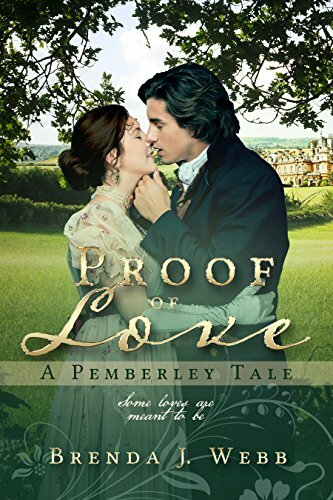 Fitzwilliam Darcy and proving? Readers of The Darcy Saga have shared in the romance, life, and marital escapades of Mr. and Mrs. Darcy. Now the "prequel to the sequel" recounts the weeks in between as two new lovers prepare for happily ever after. Willow Hall Romance, Book 1A Pride and Prejudice Prequel NovellaShe needs a rescue. 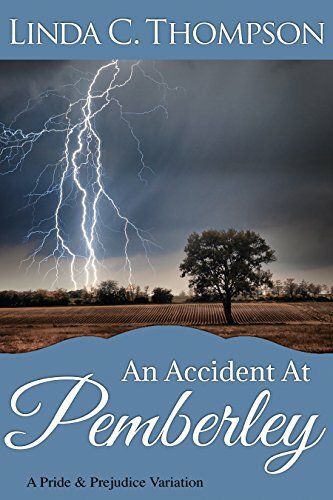 He is her only hope.But they will need Mr. Darcy's help for their plan to succeed.When Lucy Tolson's father dies, she must either marry quickly or goto live with her ither marry quickly or goto live with her uncle. For Lucy, there is only one choice, and hisname is Philip Dobney. To be presented with an offer of marriage from a long time friend is shocking to be sure! But the thought is not unwelcome. Philip, who has recently received the living at Kympton, is in need of a wife, afterall, and Lucy is more than qualified to be a parson's wife. However, what seems to be a simple solution soon becomes complicated when Lucy's uncle and Wickham show up with plans to gain enough moneyto cover debts and secure the living that Wickham at one time refused.Events from the past combined with threats in the present threaten totear Lucy and Philip apart unless Darcy can help his friends save theirblossoming love and rid Lucy of her uncle once and for all. 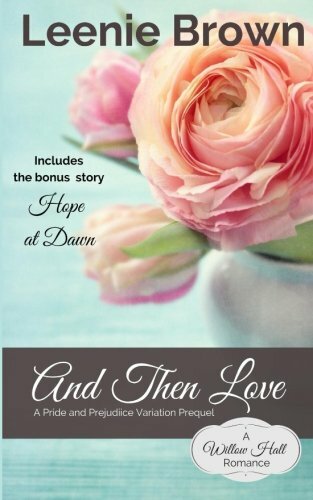 This book contains a bonus regency romance short story of about 5,900 words called Hope at Dawn. The story And Then Love is approximately 22,000 words in length orabout 125 printed pages of story without front or back matter. 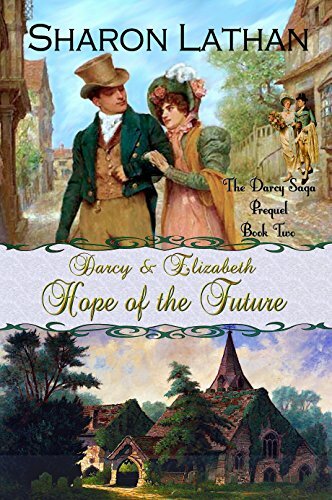 The timeless story of Fitzwilliam Darcy and Elizabeth Bennet is retold through this supernatural prequel, which begins when Fitzwilliam and Elizabeth are young children. Secret amulets and hidden powers create a suspense filled backstory to the lives of one of literature’s greatest love stories. 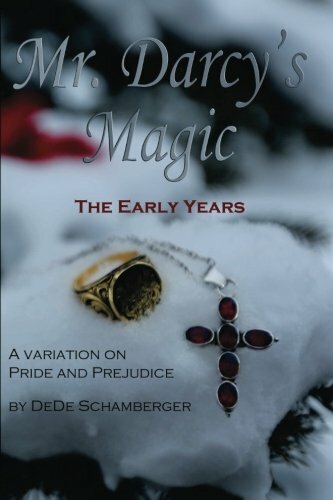 Young Fitzwilliam Darcy learns of his magical heritage just as his parents go to battle with their nemesis, while Elizabeth suffers the effects of a curse upon her family. Left to find their own confidantes, they each must learn the importance of independence at a young age. 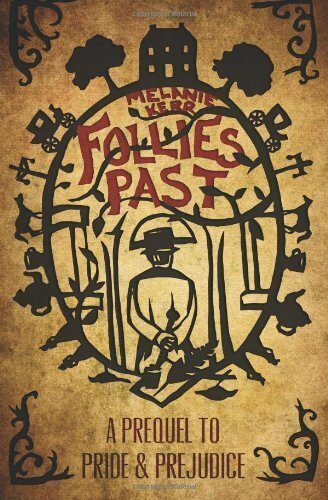 Evil subterfuge involving gypsies, childhood friends, and even a vicar, forces them to question whom they can trust. Will they be able to accept the help of friends and family, as they forge their own destinies, or will their pride and prejudices keep them from learning the value of love? MEETING ELIZABETH - Pride and Prejudice InspiredCorrections have been made! Thanks to certain reviewers, who proved to be more observant than my former editor.Miss Jane Austen began writing her novels when she was nineteen years of age. Three of theen years of age. Three of these, after being revised and rewritten in later years, were eventually published and are among the world’s best-loved books. It is well known that Jane Austen used familiar characters and scenes in her stories. 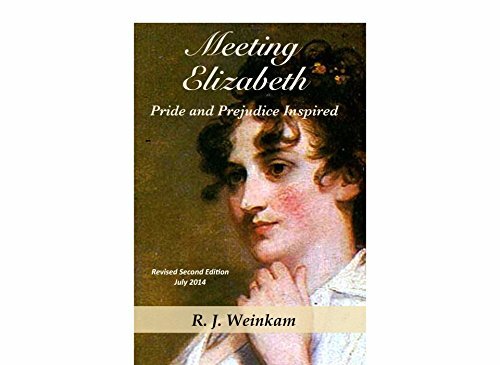 Readers acquainted with both her life and works can connect the two, but attempts to identify the inspiration for her best-known characters, Elizabeth Bennet and Mr Darcy, have failed. That, of course, does not mean that there were no such individuals. Very few details of Jane’s early life remain, so we do not know what she may have done and whom she may have known. But suppose Jane, then seventeen, accompanied her friend, Mrs Anne Lefroy, on a visit to Maybridge during the summer of 1793. She would have had an opportunity to meet Elizabeth, the delightful brown haired girl village girl, and the tall, dark, and proud young gentleman who was visiting nearby. She might attend dances and balls, and visit grand estates. No doubt romances would develop, but they would hardly proceed without some share of difficulty. They so rarely do. Fitzwilliam Darcy and Elizabeth Bennet will soon be joined in Holy Matrimony!The initial month of their Season of Courtship has passed. Together, the lovers strengthened their bond through honest communication, as they dealt with adversity, jealousy,y, jealousy, and distrust. Ever growing in mutual love and understanding, a dramatic confrontation broke through the final barriers. The timeless story of Fitzwilliam Darcy and Elizabeth Bennet is retold through this supernatural prequel, which begins when Fitzwilliam and Elizabeth are young children. Secret amulets and hidden powers create a suspense filled backstory to the lives of one of literature’s greatest love stories. 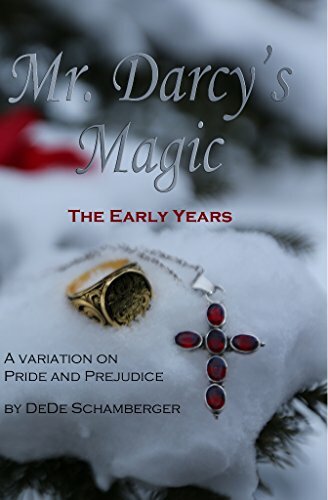 Young Fitzwilliam Darcy learns of his magical heritage just as his parents go to battle with their nemesis, while Elizabeth suffers the effects of a curse upon her family. Left to find their own confidantes, they each must learn the importance of independence at a young age. Evil subterfuge involving gypsies, childhood friends, and even a vicar, forces them to question whom they can trust. Will they be able to accept the help of friends and family, as they forge their own destinies, or will their pride and prejudices keep them from learning the value of love? 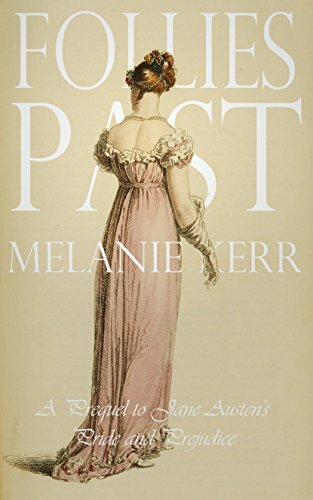 In late eighteenth century England two sisters make their debut into society and attempt to fulfill their mother's desire for grand marriages. Lady Anne struggles against her mother's expectations and her own strong sense of duty before she can find her way to happiness. 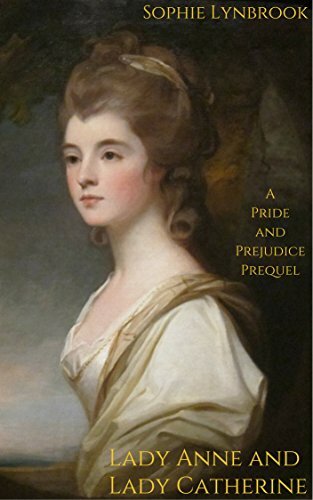 Her elder sister, Lady Catherine of Pride and Prejudice, embraces all her mother's notions of consequence but society does not embrace her.